Chef Rick Lewis and wife Elisa have left Southern behind to create Grace Meat + Three, a new haunt in The Grove that's part comfort food, part farm-to-table and all the Lewises. Cornmeal-fried Mississippi catfish with comeback sauce. Chef Rick Lewis and Elisa. Chef Rick Lewis may not have invented Southern cooking, but he is certainly inventive in his take on it. 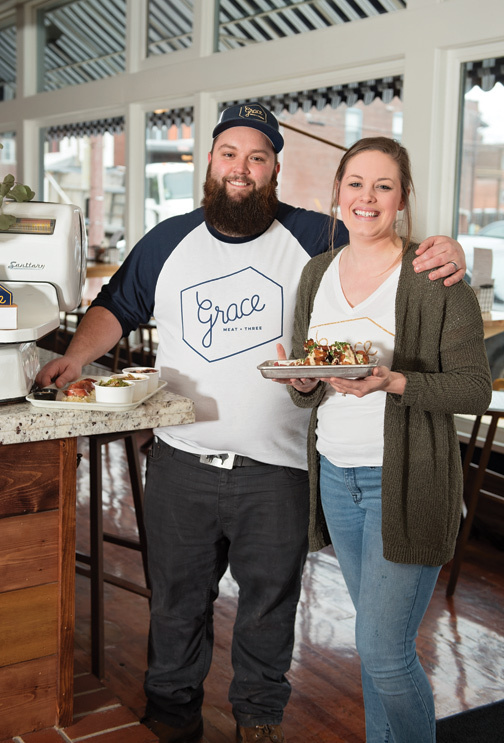 Rick and his wife, Elisa, opened Grace Meat + Three in the former Sweetie Pie’s space in The Grove in late 2017 and the wholesome, seasonal fare is redefining farm-to-fork comfort food. Daily menu specials range from an herbaceous poached cod to southern staple chicken and dumplings to a smoked prime rib that has proven an instant hit. 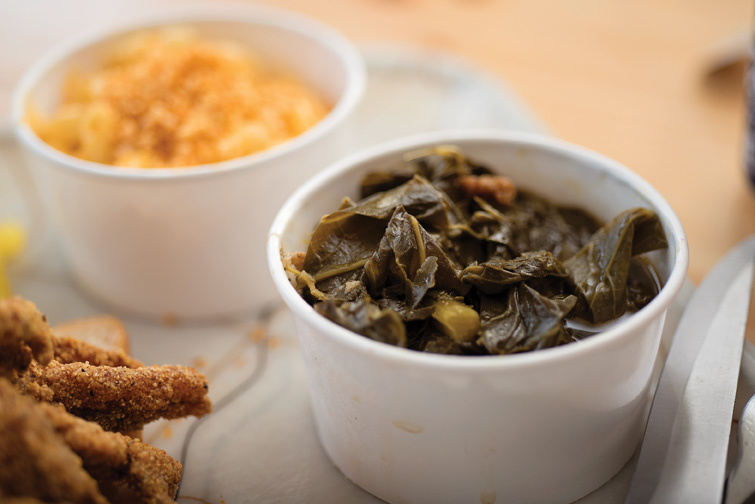 Southern food — and the blue plates — may be rooted in tradition but that doesn’t mean they’re not game for reinvention. Think gnocchi-style pasta in the dumplings, or perhaps a meatloaf or confit-then-fried wings made from duck. “We’re getting a lot of whole animals in, so we’re playing around with the butchery and unique cuts, like bone-in pork belly or rind-on pork chops, which is pretty old school, actually,” says Rick. The pork belly in question is slow-cooked to retain the innate tenderness of the fatty meat, then finished with a good crisping before it’s served. As for the chops, those rinds also get the crispy treatment, though they might undergo smoking or sous vide on their way. Now, lest we neglect the obvious burning questions, the “Grace” in the restaurant’s moniker is a nod to the pre-meal moment of prayer … and just happens to be the name borne by a couple of individuals close to the couple. “Meat and ‘threes’ is typical that traditional country, home-cooking-style cafeteria that originated in the South,” explains Rick. “They were places where field workers could get a hearty meal to get them through the day. You’d always have the fried chicken and meatloaf and roast beef, but the [three] sides would change and were driven by what was available that time of year.” Grace Meat + Three is open 11 a.m. to 8 p.m., Wednesday through Sunday. Chef/Owner Rick Lewis will offer some of the eatery’s signature flavors in these four dishes at the May Cooking School on Wednesday, May 9, from 6:30-8:30 p.m. at AUTCOhome. The cost is $35 per person. For reservations, call 636-230-9640, ext. 27, or email [email protected]. Seating is limited. 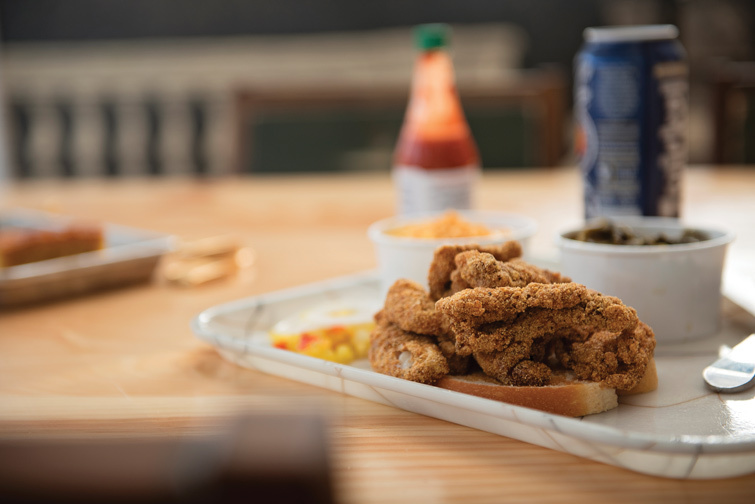 When: Wednesday, May 9, 6:30 – 8:30 p.m.
Cornmeal-Fried Mississippi Catfish with Comeback Sauce: Chef Lewis reveals some of the secrets for catfish that’s delectable enough to impress even the most jaded Friday church fish fry crowd: brine, seasoning and dredging. It wouldn’t be complete without a pepper-and-tomato-based comeback sauce for dipping. 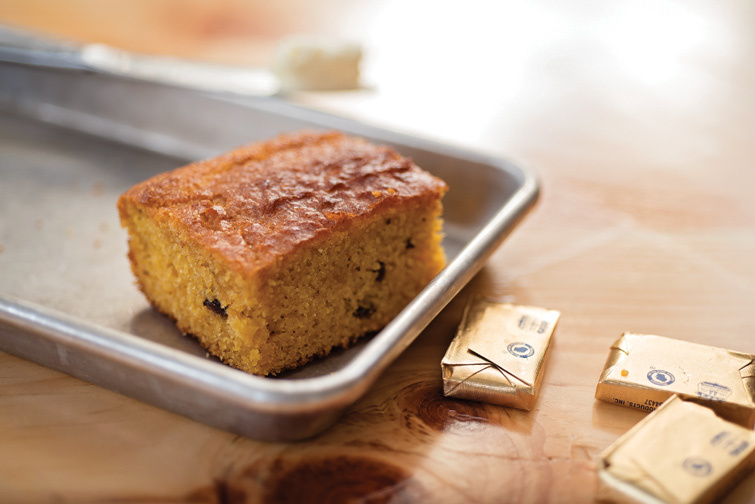 Cracklin’ Cornbread: A proper Southerner knows to put bacon drippings to good use in the cornbread. That and a cast-iron skillet will create a perfectly crisp bread crust, just begging for the caramelized honey and butter that’s spread on top. Collard Greens: The salty greens get their smoky flavor from ham hocks, plus a sauté in onions and garlic. Don’t forget the pepper vinegar! 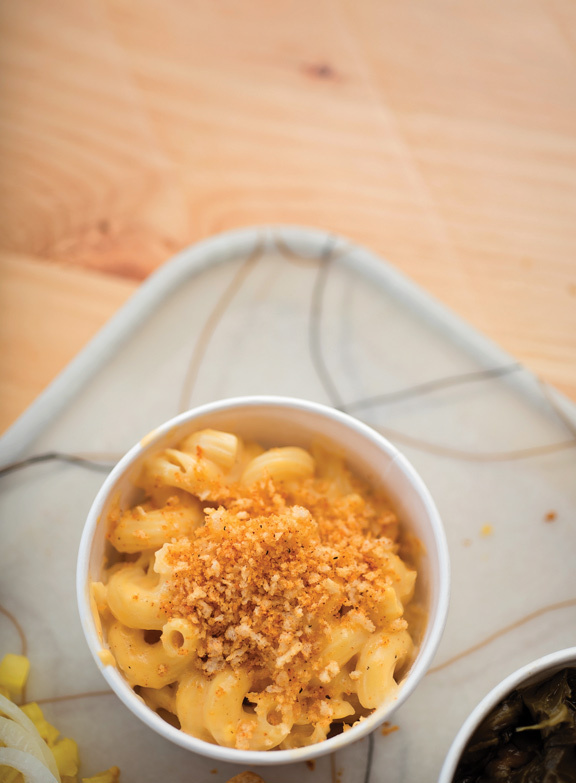 Macaroni + Cheese: The sharpness of cheddar plus the smokiness of creamy gouda — how could this rich and sophisticated mac be anything but divine? Just the right amount of hot sauce and ground mustard in the roux get the seasoning started off on the right notes, while toasted bread crumbs finish the casserole with a satisfying crunch.